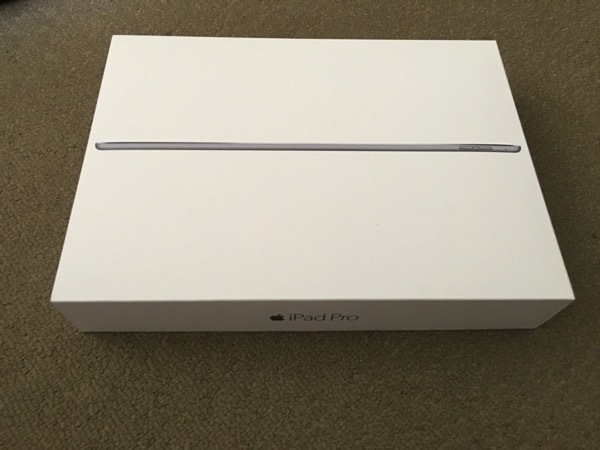 During Nov 2015, Apple (AAPL) announced the biggest iPad line up – iPad Pro, it made several headlines where some rejoiced on her efforts to win the market share of Microsoft’s Surface Pro. 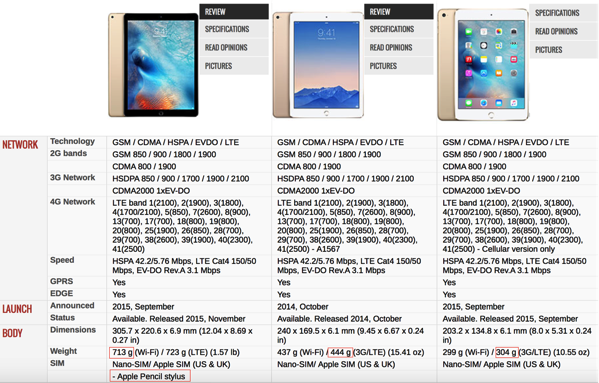 But is it an innovation or one step backwards to create a bigger screen device? 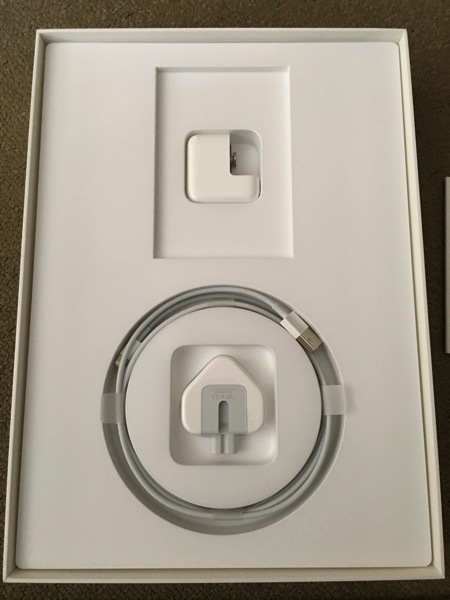 The packaging is typical Apple – very minimalist in what it shows on the box. 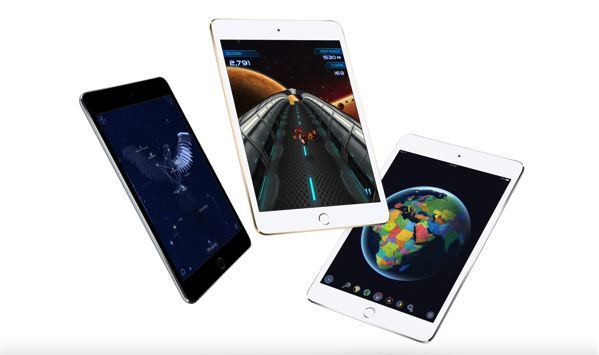 Front and center, we have a profile view of the iPad Pro, indicating how sleek and svelte this 12.9-inch tablet really is. 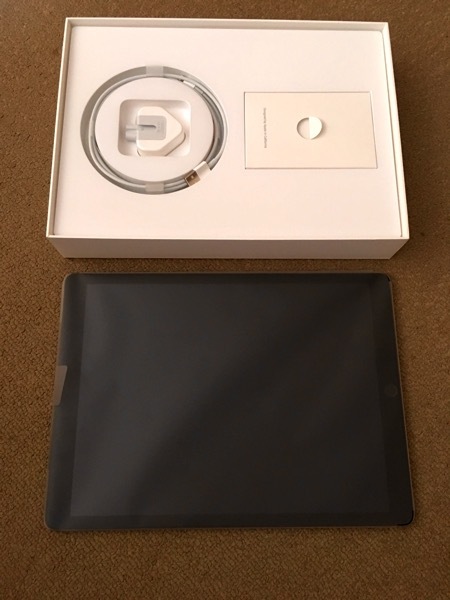 Underneath the iPad Pro, we have the usual Apple accessories that consist of the documentation, Apple decals, an extra-long Lightning cable, and wall charger. 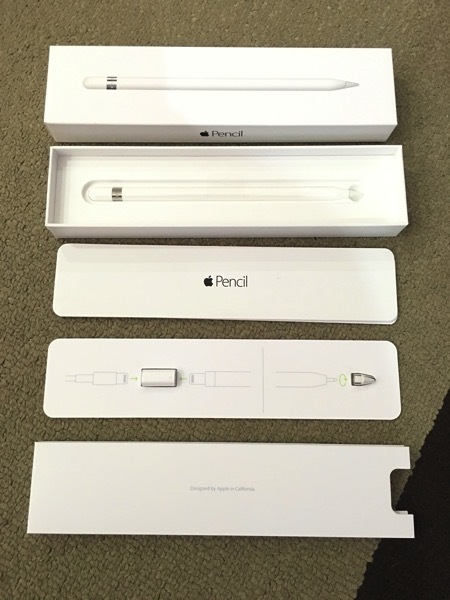 You can say that it’s typical Apple with this packaging. 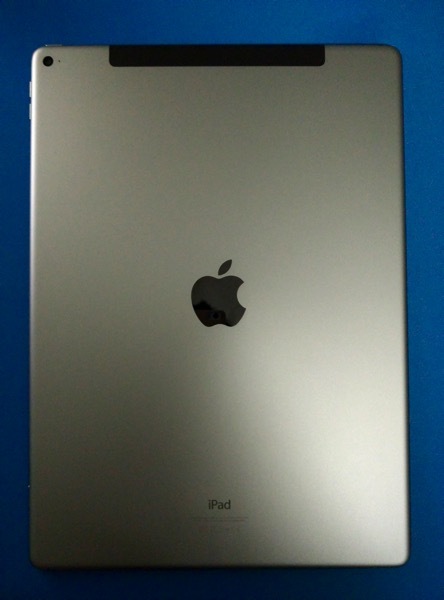 The iPad Pro follows the general design principles of the iPad Air 2. 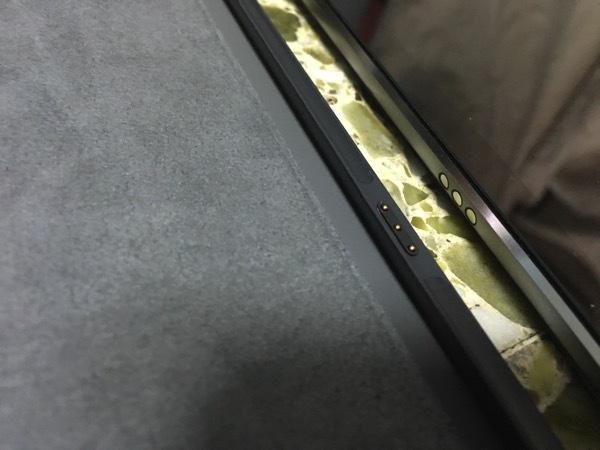 It has similar general layout, material, edging, the positioning of the buttons, the Lightning and headphone ports and the Touch ID-equipped Home button. 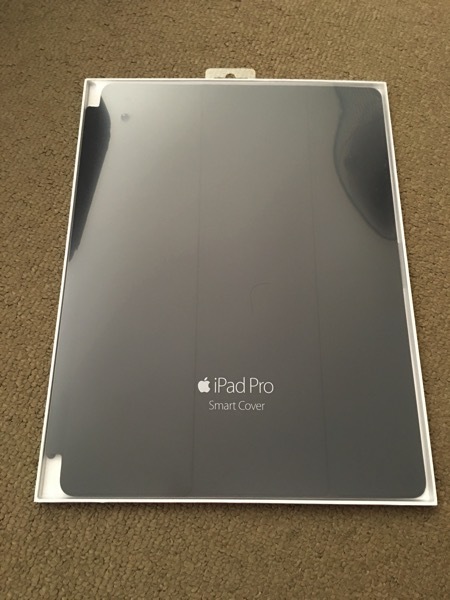 The design of the iPad Pro smart cover is also pretty similar to that of iPad Air / Air 2 – three folds and side magnetic hinge. 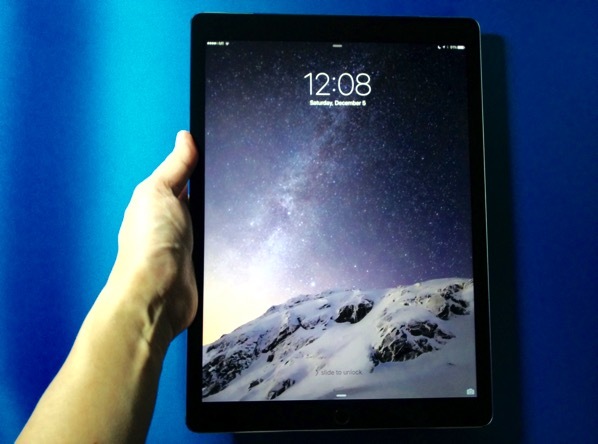 Although, the iPad Pro may be taller and wider than any previous Apple tablet, it still remains thin and light. 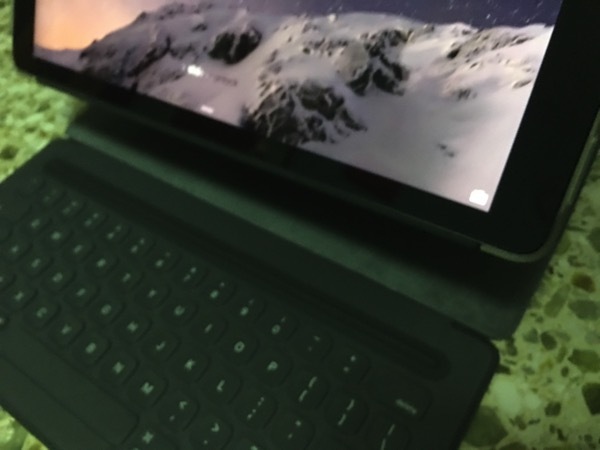 It is more suited as a two-handed device but it can still be held reasonably comfortably with one hand. 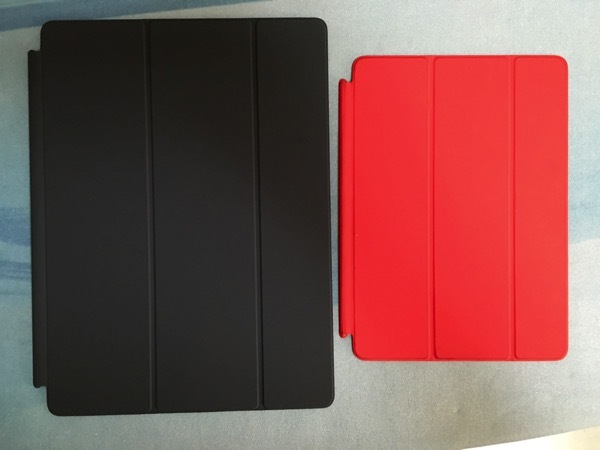 There are four speakers on iPad Pro, compared to the twin speakers on the iPad Air 2. This results in far more volume output. 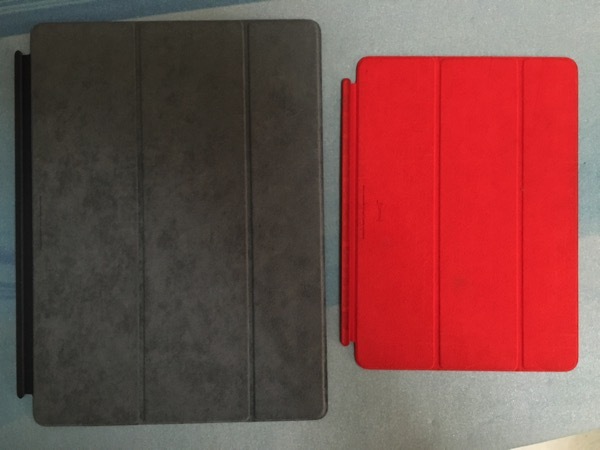 iPad Pro also is also smart enough to adjust audio balance between the four units to maintain a consistent performance as you hold the iPad in different ways. 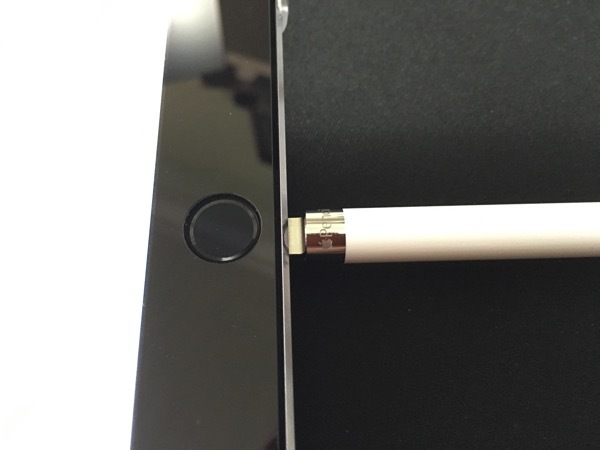 The new Smart Connector are those three small dots positioned on the left shoulder of the iPad Pro. 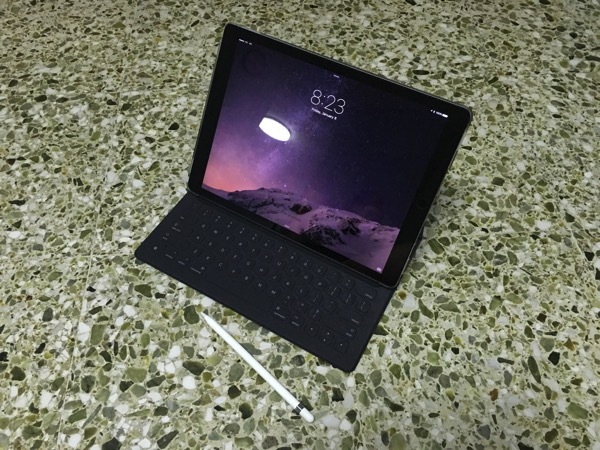 These are for powering additional accessories like the new optional Apple iPad Pro keyboard. Despite the larger screen, the iPad Pro’s resolution (2732 x 2048) crams in more pixels to remain just as crisp as that of the iPad Air 2 (2048 x 1536). 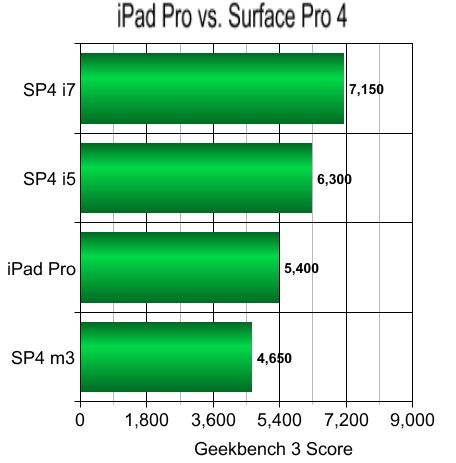 Apple iPad Pro runs on a 2.26 GHz dual-core Apple A9X 64-bit processor and out-scored the m3-based Surface Pro 4 but less than the Core i5 or i7 Surface Pro 4.
iPad Pro is touted Apple’s first laptop replacement – it allows one to work on the go and even multi-task with split-screen view so you can run two apps on the screen at the same time. 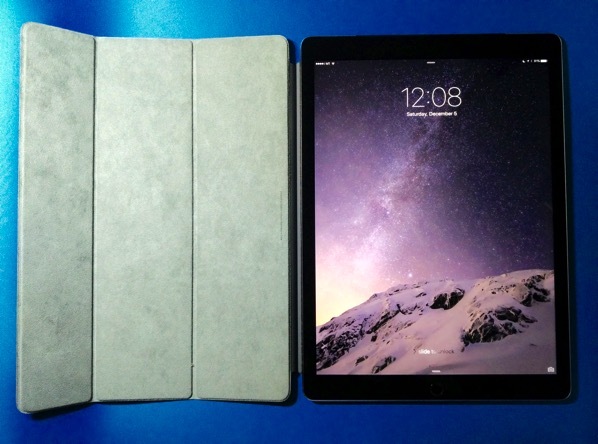 It does offer a much larger screen real-estate and does make split-screen work easier than the previous iPad models. 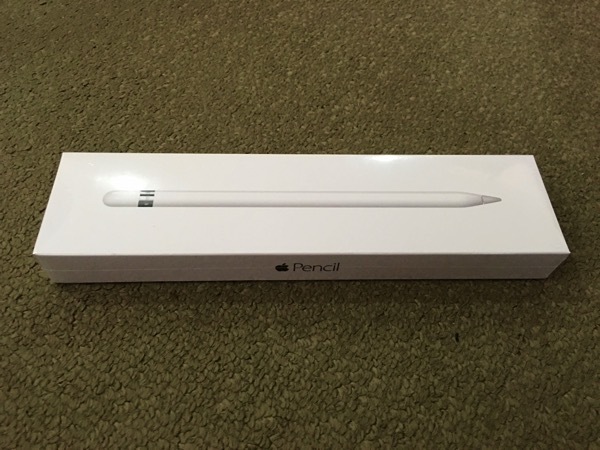 There is also an accompanying Apple Pencil which comes in a simple box tray. 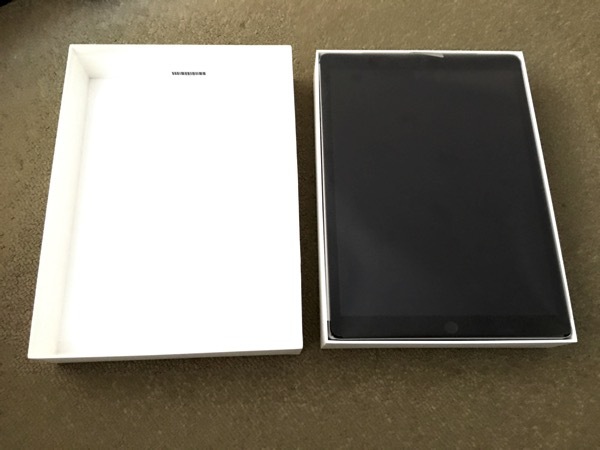 But the setup process isn’t obvious as there are no written instructions within the box. 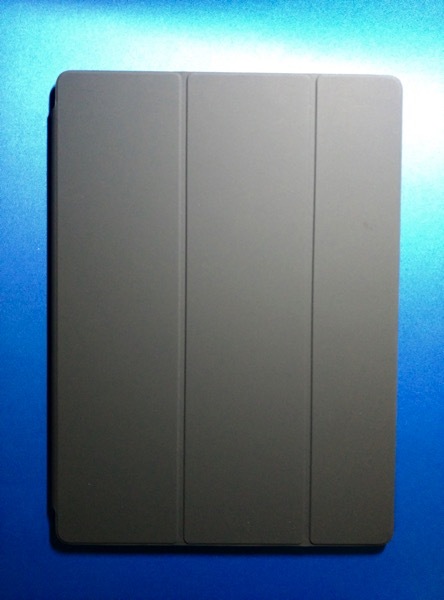 One need to remove the cap on the would-be eraser end and connecting it to the iPad Pro’s Lighting port so that pairing can be initiated. 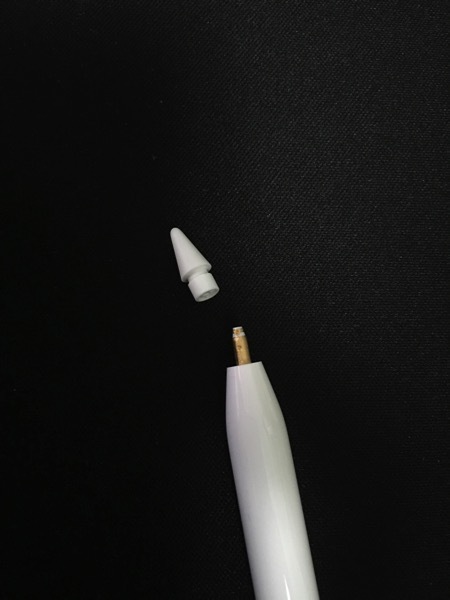 The Apple Pencil tip can also be replaced easily if it is worn out due to frequent usage. Apple’s new Notes app on iOS 9 is a great place to start testing Apple Pencil once it’s set up, but the App Store has a collection of Apple Pencil-ready apps e.g. Procreate and Paper by 53. 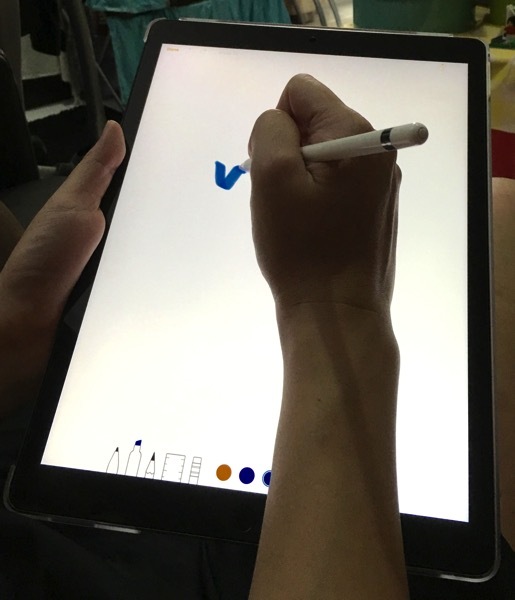 I am impressed with the “virtually no lag” movement of the Apple Pencil drawing tip on-screen. The quality of palm rejection is equally impressive. There is also a level of resistance and friction that emulates using a sketching utensil on paper. 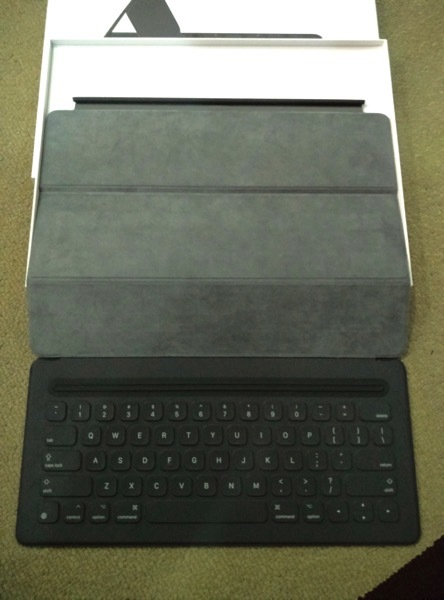 The other accompanying accessory is the Smart Keyboard which looks like an oversized iPad Smart Cover. 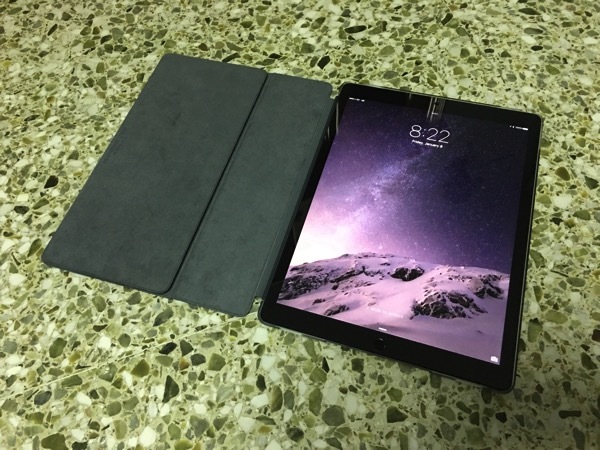 The outside is polyurethane, and the lining is microfibre. 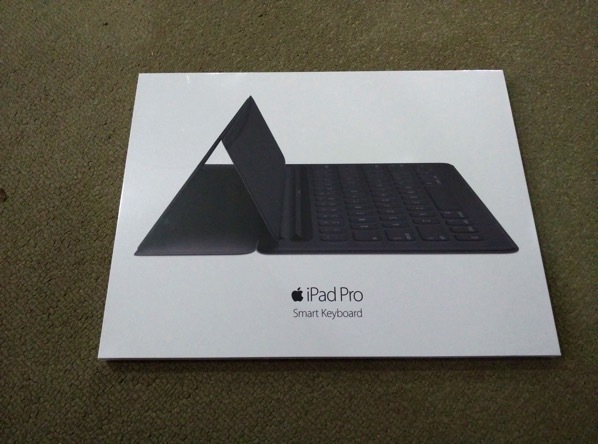 One can use the Smart Keyboard as a stand without a visible keyboard – as a stand with the keyboard laid out, or folded up and appearing like a somewhat thicker Smart Cover. 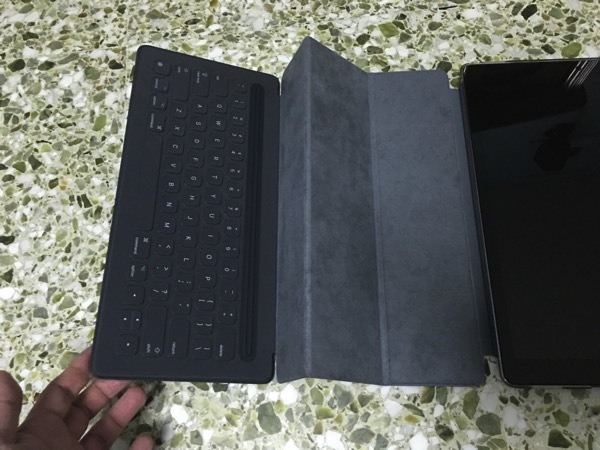 It attaches magnetically to the edge of the iPad Pro. 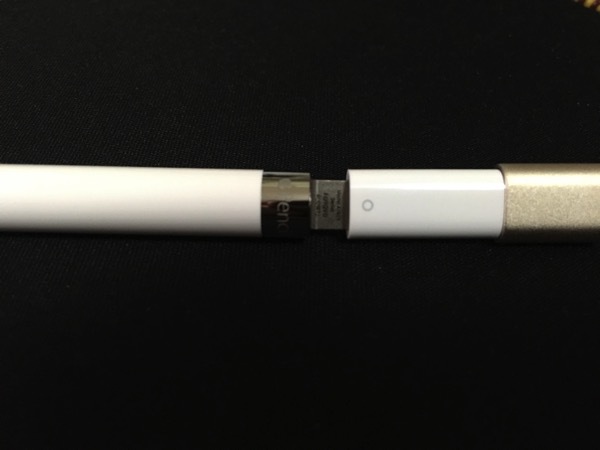 The Smart Connector supplies power to the keyboard, so it contains no batteries, and provides a data connection, so it doesn’t need to be paired via Bluetooth. 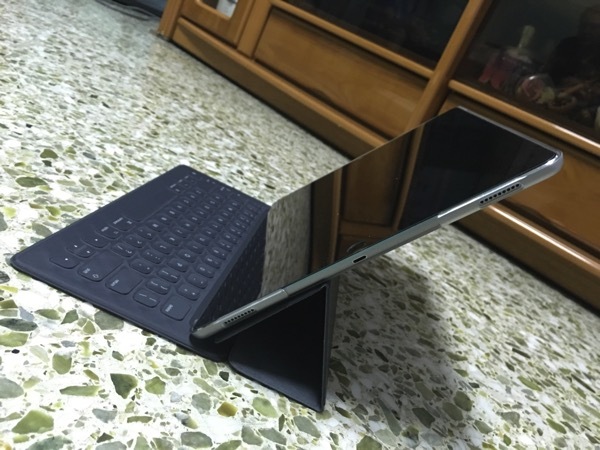 The iPad Pro with the Smart Keyboard is designed for tabletops, not on laps. this keyboard is covered in taut fabric. The fabric itself provides the tension for the keys. t generally thinner, lighter and less susceptible to damage from solid and liquid spills. While there is the lack of shortcuts on the Smart Keyboard, Apple has instead opted to have contextual keyboard shortcuts available at the bottom of the iPad Pro display. 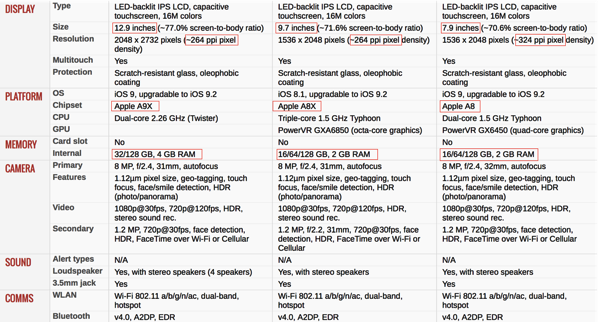 In summary, the iPad Pro is a good start as an alternative mobile device for work productivity next to her Mac Book lineups. 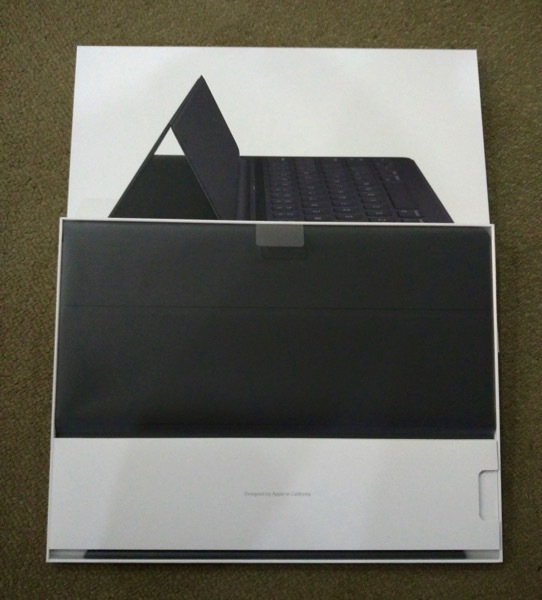 For now, one can have some serious work and also play on a crisp big screen. c. No external storage connectivity. Not an issue for someone is already working extensively using Cloud Storage.